As one of the most pioneering and intriguing ways to build a house, shipping containers are an original, inexpensive abode, offering a range of interesting stylistic options and details. 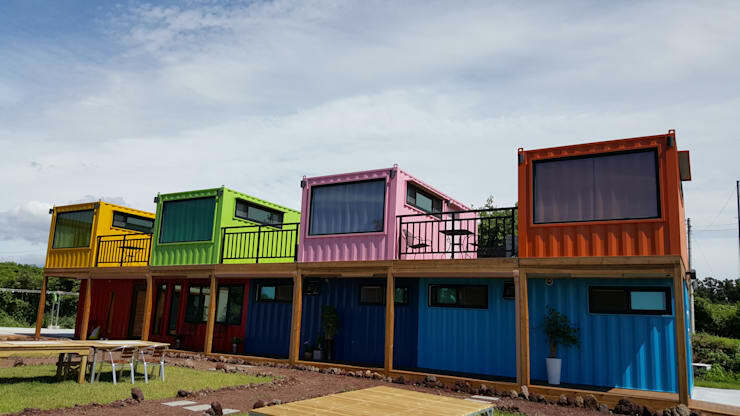 Due in part to the high demand for low-cost housing around the world, these shipping containers became popular in the 1960s and have ebbed and flowed in popularity ever since. Currently enjoying a resurgence in popularity, we’ll today be checking out 6 stylish and sophisticated container houses that are sure to impress! 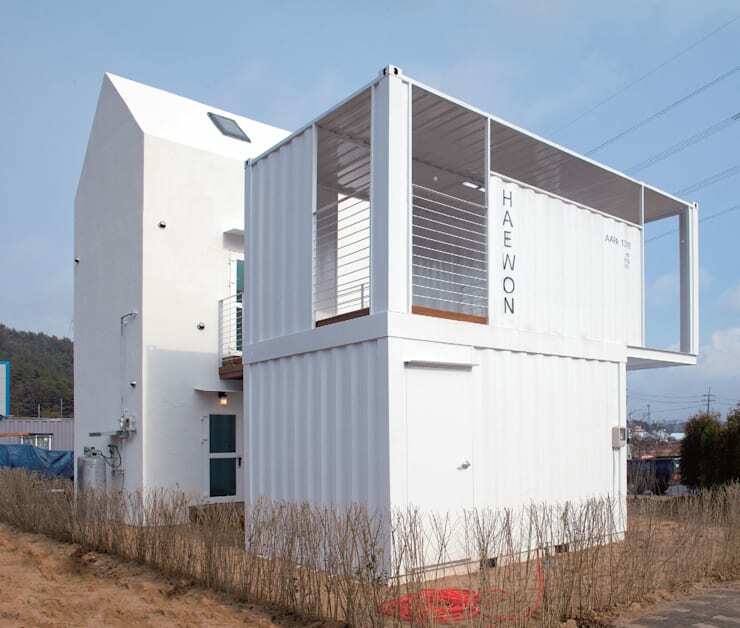 Able to be modified and designed to suit the exacting specifications of the container’s future occupants, this low-cost option is sustainable and original. As so many containers tend to sit unused as scrap, re-purposing means they are great for the environment as well. 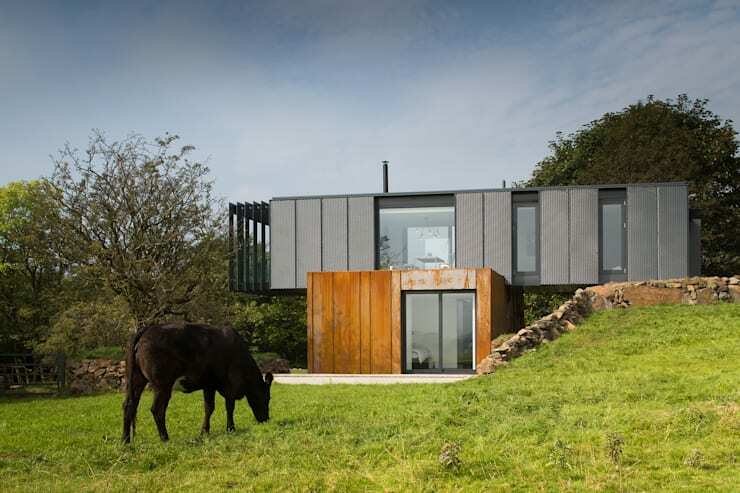 Want to see which 6 container dwellings made the cut? Check them out below! The first container home we check out is actually several containers that have been fashioned together to form a cohesive abode. Distinctive and boasting contemporary aesthetics, this dwelling is sustainability with a modern touch. With plenty of indoor and outdoor recreation spaces, the property is an entertainer’s dream! By taking a look at the 1st floor plan we can see that the home features a living room, kitchen and dining room. Moreover, the master bedroom is situated on the first floor, which means the dwelling can be transformed into a bed and breakfast suite if required. Upstairs we see the definite shape and form of a container, which has been converted to offer two bedrooms that would suit children or guests. There is also an additional bathroom, for added convenience and practicality. Eye-catching, attention grabbing and adorable, these containers have been transformed into a guesthouse for holidaying visitors. Situated in South Korea, the residence offers individualised hues to each suite, as well as ample outdoor living space. Next up we take a peek at an elegant design that maximises natural light and illumination. Here we see the architects have installed large sliding doors and windows, which boost the luminosity within, and add to a sense of connectedness with the scenic landscape. Utilised as a weekend home, the property is both chic and functional. Warm and welcoming thanks to the colour scheme and use of natural materials, this container is cheerful and inviting. Is it love or hate? 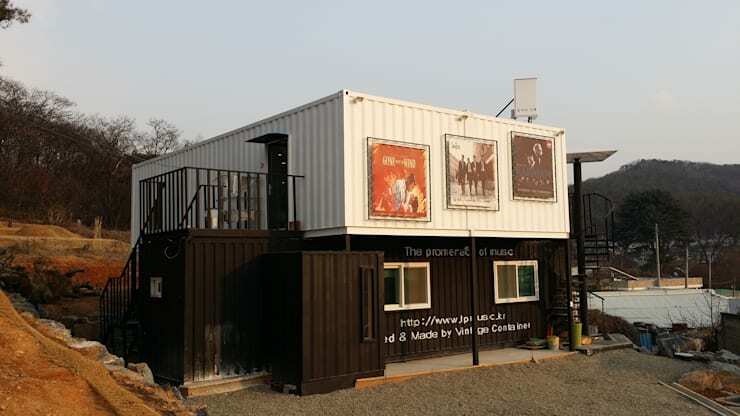 Let us know what you think of container homes below!